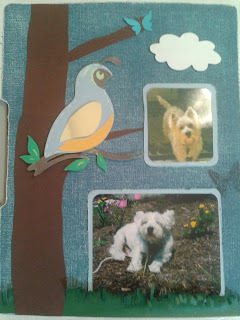 Paper Shenaniganz: Scrapbook Friday: Cute Critters! Today's design team post for My Cricut Craft Room is cute critters. I was going for a woodland type feel, but I'm not so sure I'm loving the finished project. Sometimes that happens, though. 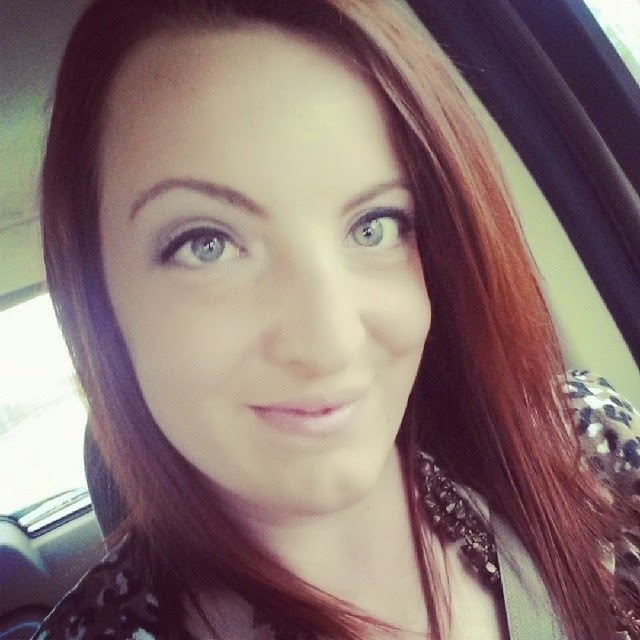 Please continue reading for details on how I made this project. I used an ugly old file folder and covered it with paper. This is a much easier way of storing scrapbook layouts. They're like flat little "books." I think I might have to make more of these in the future. I used that random scoring technique I talked about a while back on my Perfect Escape post, which can be found here. I then sanded it (again, SURPRISE!) 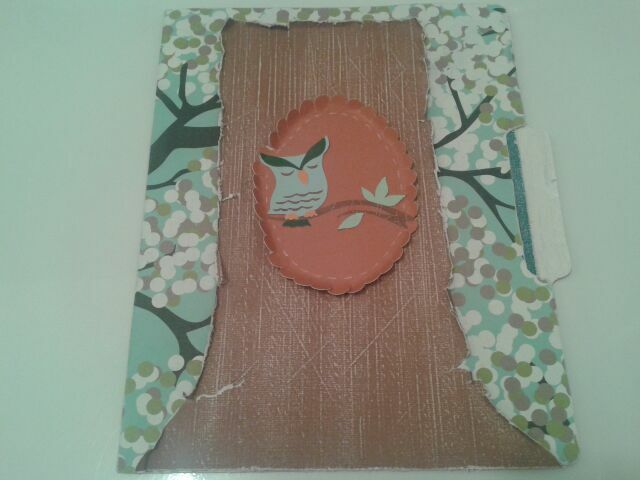 and added the cute little owl. The scalloped oval is from CCR Basics. 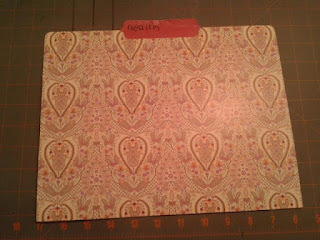 Of course (you should have known) I sanded the background paper. One of these days I will get over sanding everything, but for now... it's unavoidable. I just love the look it gives. I free handed the tree, and cut the rest of the critters from Nate's ABC's all at 4 inches. The cuts I used were the quail, snail, and the owl. 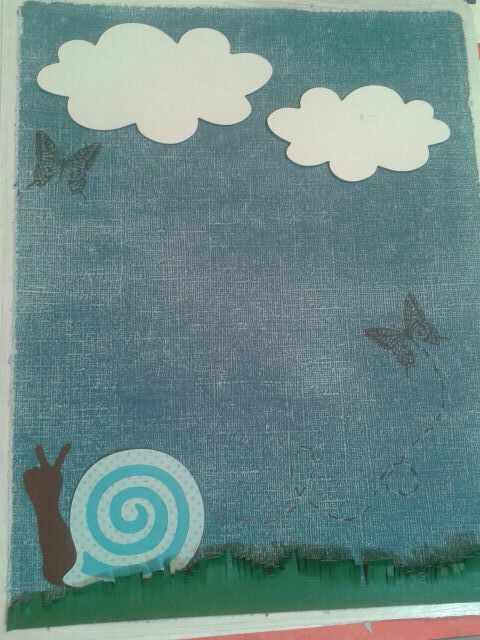 The butterfly cuts out with the snail, but I didn't use them all as one cut, I separated them. The clouds are also from Nate's ABC's, and they were cut at 2.5, 2. and 1.5 using the Font 2 feature. I then free hand cut some grass, and my project was done! :) There's more room for pictures on the right side of the layout, but I don't have the pictures I wanted to use printed. So, So, Soooooooo cute! I love it! It is perfect!! What a great idea, Melissa! I love the little critters you added to this project!